A settlement has been reached between a 59 year old female bicyclist and the Chicago Police Department for injuries she received when an officer cut her off on the City's Lake Front Path. 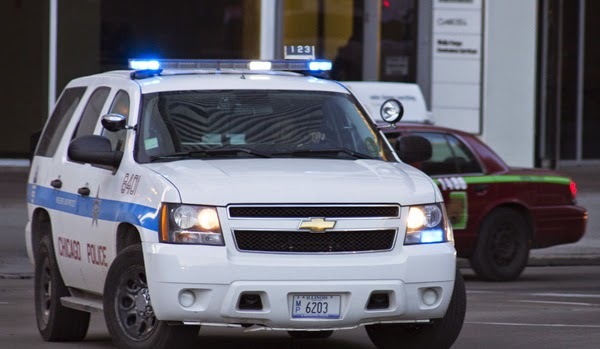 After the crash Chicago police ticketed the woman for allegedly damaging the Department's SUV. 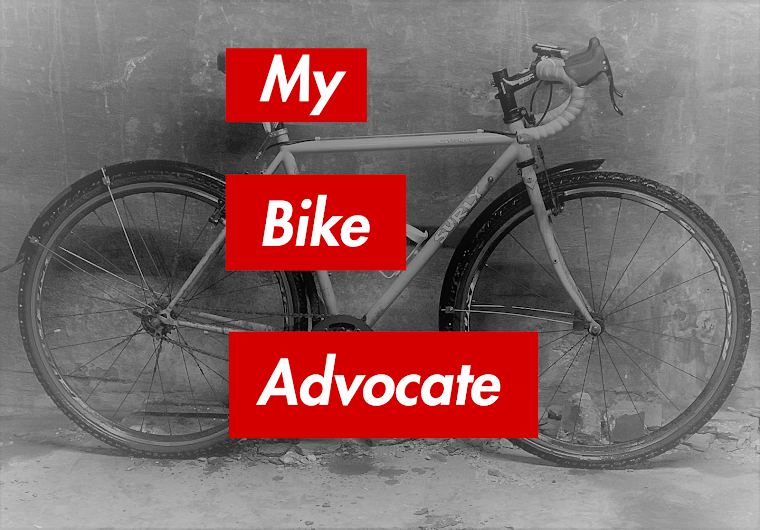 Our law firm filed a lawsuit on the cyclist's behalf and negotiated resolution of the case with Department lawyers. The incident occurred where the Lake Front Path is intersected by South Larabiba Drive on the City's South Side. At around 7:00 a.m. on November 2, 2011, the woman, an experienced cyclist, was riding southbound on the Path on her way to the South Shore Cultural Center. The weather was slightly overcast, but was dry with good visibility. At the intersection with Larabiba, she crossed with the light in her favor traveling at 10 or 11 miles per hour. At that location, East Marquette Drive runs parallel to the Lake Front Path. An on-duty police officer was traveling north on Marquette in a 2009 CPD Chevy Tahoe. When he reached Larabiba Drive he turned right directly into the path of the southbound bicyclist. The front of the woman's bike struck the side of the SUV, the collision throwing her hard to the ground. She was taken from the scene to the University of Chicago Hospital via ambulance. She was diagnosed with a two fractured ribs, a punctured lung and with injuries to her hip and back. Liability for the incident was denied by the Chicago Police Department which accused the woman of being at fault for causing her own injuries. Immediately following the crash, several other police officers arrived at the scene and the bicyclist was ticketed for damaging the the Department's vehicle with her bike. The bicyclist called us and we filed a lawsuit against the Department and the officer seeking compensation for the woman's injuries. Not surprisingly, during his deposition the police officer testified that he turned on a green light and did nothing wrong. Much of the case centered around the officer's in-vehicle video recording system. The Department vehicle was equipped with a dashboard video camera. However, despite our requests, the Department was unable to turn over any video which may have shed light on how the crash occurred. The Department contended that for some reason the dashboard camera was not working at the time of the crash and turned over documents to us which it said demonstrated that fact. We demanded that we be permitted to take the deposition of the person in the Department most familiar with the video recording system. During that deposition, the Department's own employee testified that the dash cam definitely was working a few days before the crash. He could not say that it was not operational at the time of the incident, that generally the in-vehicle video system is always on and recording and that if video was taken of the collision it should have been preserved. We believe that this potentially damning testimony helped bring the Defendants to the bargaining table. The case settled for $85,000.00.
. . . And the ticket the cyclist received for supposedly denting the Department vehicle was thrown out. Fabulous. My tax dollars go to some hemp wearing cyclist who most likely crossed against the light like 99% of the rest of clueless cyclists. And If i had a dime for every idiot motorist on cell phone, endangering my life as a cyclist, I would be as rich as Warren Buffet! On my ride to the lakefront path via Monroe...I think I once counted 47 people on their phones in their moving cars on busy city streets....So I ask...who is more dangerous...a "hemp wearing cyclist" on a 20lb bike or a reckless motorist driving a 4,000 pound car. Cyclist are allowed to ride on most roads and follow the rules of the road. For every idiot cyclist there is a counterpart idiot driver. Education, tolerance and enforcement is the only way cars and bikes will get along. In this case, clearly the officer was at fault and needed to be held accountable. I have seen my share of idiot cyclist running red l lights, traveling the wrong direction in the city(messengers)...and yes they need to be ticketed and if they cause an accident, then they should be held accountable and deal with result of riding recklessly. It all boils down to accountability. Since the cop was off duty, has he no personal liability? Or will that be a separate suit? The cop was on duty.